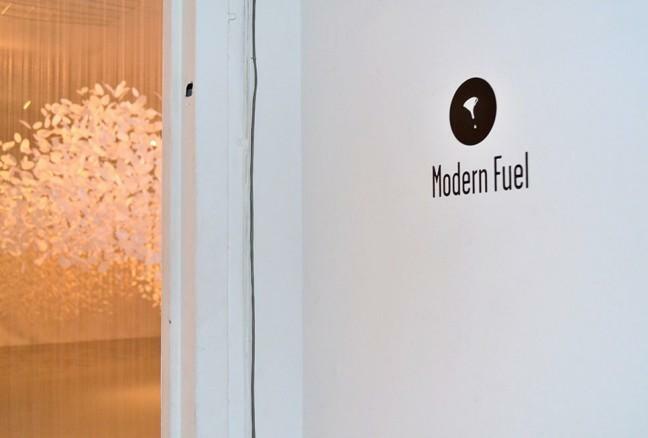 Modern Fuel Gallery is a long running cultural non-profit group facilitating the presentation, interpretation, and production of contemporary visual, time-based and interdisciplinary arts. A stepping-stone to a professional artist’s career, Modern Fuel Artist-Run Centre is celebrating their 37th year of operation as a registered charity when incorporated as the Kingston Artists’ Association Inc. back in 1977. 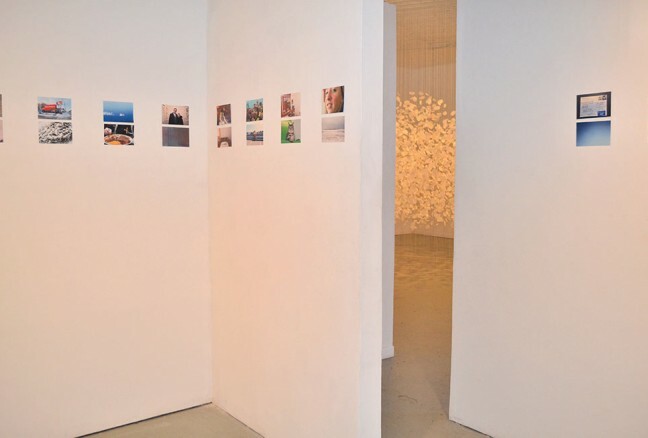 Acting as a focal organization for artists and the public, Modern Fuel provides gallery space for art exhibitions, performance events and art festivals, but most importantly serves as a site for dialogue about alternative art forms. 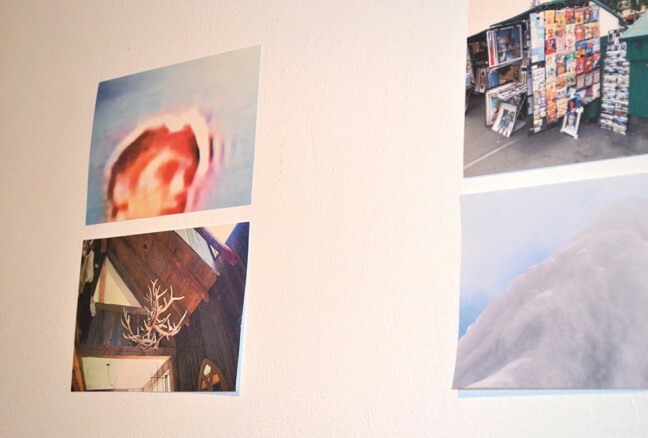 An artist run gallery hidden in plain site of Downtown Kingston. Modern Fuel is currently situated in a heritage limestone building that was home to the City of Kingston Gaslight Company. According Megan McNeil, General Director, it is this company that advertised ‘gas’ as ‘the modern fuel’ at the turn of the century, a slogan that still remains painted to this day on the side of the current building, hence the origin of the name. This not-for-profit organization aims to give artists the opportunity to take charge of their own careers and the growing notion that professional artists should be paid for their work. It is a chance for artists to innovate, inspire and express themselves as they display their work and network with one another. 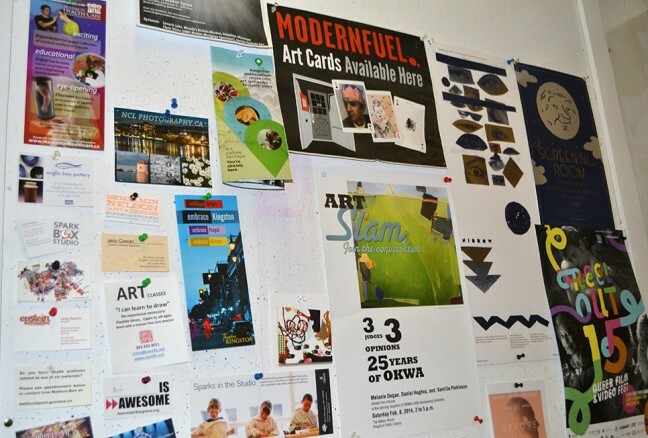 Modern Fuel is a space that facilitates this professional development of the artists, who also don different hats, from cultural workers, writers and teachers to those working in the service industry. A glimpse of the two gallery spaces; Main Gallery and State of Flux. It hosts two spacious galleries, Main Gallery and State of Flux. The ambience is constantly changing with different exhibitions being shown, by which the current exhibitions include sculptural installation and photography. Located on the second floor, walking up the grid like stairs brings you to a guest book and a donation box, as admission is free at Modern Fuel. Reading through the comments, I knew I was in for a wonderful surprise passing through the door that stood in front of me. 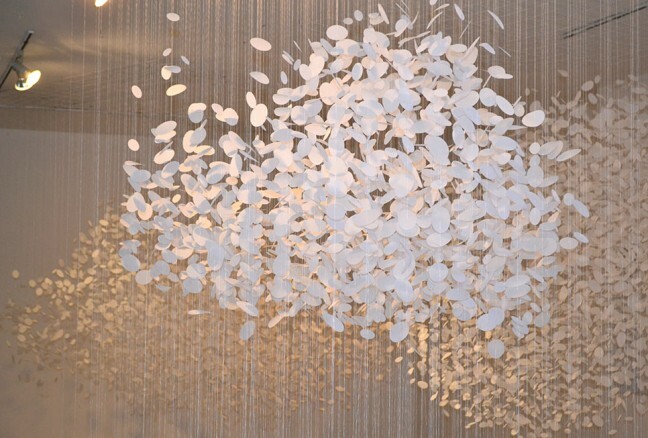 In the Main Gallery, Hannah Claus’ cloudscape, floats mid air as it occupies much of the gallery space. Thousands of oval spectacles are suspended as though above the atmosphere. Mesmerized by the shapes and simple yet complexity of this exhibit, around the corner stands the State of Flux Gallery where local Kingstonian Jeff Barbeau’s Minor Works series of images lie on four white walls in rows of two. Everyday stillness surrounds the room and you are able to venture through Barbeau’s perspective of life. Photography is Jeff Barbeau’s medium of choice. 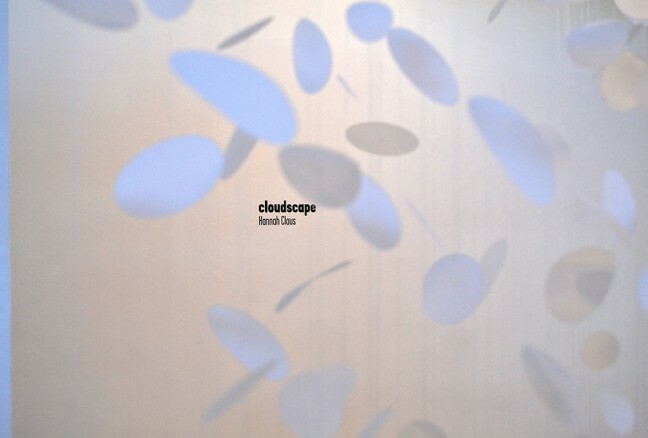 Cloudscape exhibition by Montreal based artist Hannah Claus. 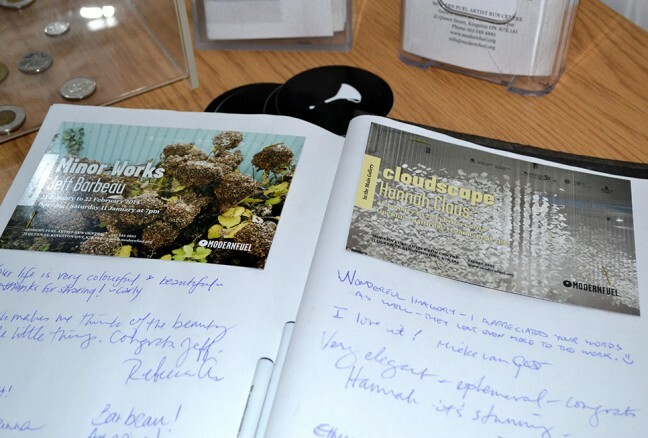 The cloudscape exhibition runs from January 11, 2014 to February 22, 2014. With 12 shows a year, Modern Fuel hosts quite a number of exhibitions varying from drawing and painting to sculpture, sound and video installation. Expect to see something different each time you visit, as a wide array of artists come through their doors each year looking to submit, volunteer or simply spread the word of art in Kingston. This desire to communicate and engage the world through art form is a unique talent that evokes discussions, forms partnerships with emerging artist and builds a community around an innovative space like Modern Fuel. Admission is free though donations are accepted.